Australia and New Zealand have a rich history of agro-economic research and development anchored by strong public and private researchers and generally effective partnerships between industry and government. These assets have helped bring a spirit of leadership in food safety for Australasia in recent years. The region is in some ways setting the pace internationally for coordinated food safety campaigns. Up to the mid-2000s New Zealand had one of the highest rates of Campylobacter infection anywhere, Says Martyn Kirk of the Australian National University. However, improved controls and interventions from government and industry brought those levels down sharply, and other governments and health authorities seem to have taken note. Kirk suggested that despite the 17,725 reported cases of Campylobacteriosis across Australia in 2011 (excluding New South Wales, where the illness is not notifiable), the real number could have been over ten times that figure. Kirk’s estimate underscores the fact that reported rates of detection – and consequent food recalls – are often hardly representative of the actual incidence of pathogens (including incidence at or above potentially harmful levels). Meanwhile, the Oceania: Food Standards Australia New Zealand’s (FSANZ) March 2016 statistical report for Australia (2006-2015) stated that recalls involving Listeria monocytogenes were more frequent in the meat and dairy categories than in others. It explicitly noted this was only because of industry and government concerns about its presence in ready-to-eat (RTE) foods, and the consequently higher frequency of testing. In other words: the more you test, the more you find. As much as Australia – and the entire world – would love to have a live ‘map’ of microbial food contamination, such an outcome would be a complex and dynamic affair, given the different rates at which particular pathogens are identified across the developed world. Clouding the situation further are the contrasting patterns of foodstuffs carrying those pathogens, the different species, strains and their points of origin. This is all to say that there remains no magic bullet when it comes to thwarting foodborne pathogens – even uncommon strains can gain a foothold in the food chain. Australians were reminded of this recently via rockmelon (cantaloupe) cultivated by a specific grower in the Northern Territory. Samples sourced in South Australia tested positive for Salmonella Hvittingfoss, a relatively rare strain. Between mid-June and early August 2016, over 100 cases of illness from this strain were reported across six different jurisdictions in Australia, all of them associated with the same source. While it is unrealistic to have a zero incidence rate, government regulators are wisely recognizing that more can be done both to prevent food safety occurrences upstream and to mitigate the effect of such happenings downstream. Authorities have placed more concern and energies surrounding the speed with which individual businesses – especially smaller ones – respond to food safety emergencies. In June 2016, FSANZ published a Food Recall Plan template to complement its existing Food Industry Recall Protocol, aiming to help companies make clear contingency plans in this vital area. The FSANZ data on recalls from 2006 to 2015 shows that L. monocytogenes accounted for 87 of the 189 microbial contamination cases, compared with 38 for Salmonella and 28 for Escherichia coli. The report shows that FSANZ has placed emphasis on the Listeria monocytogenes organism in RTE foods as this is seen as a particularly high-risk combination for consumer illness. Evidence suggests that, although it is uncommon for L. monocytogenes to exceed legal safety limits in RTE products, it is typically responsible for higher death rates than other foodborne infections, especially among more vulnerable consumer groups (the young, old, pregnant or immunocompromised). Additionally, consumers show increasing preferences for convenience and minimally heat-processed (if not raw) foods and retailers look to accommodate by expanding such options as ‘food-on-the-go’. The challenge for food safety experts in Australasia and other markets is to police an increasing RTE food category that may include products that allow the growth of pathogens, without a lethal heating step applied by the consumer before eating. At the same time, in some developed markets with experienced and effective food inspection systems, reductions in central-government funding are undercutting local provision in this area. While, an increasingly globalized trade in food ingredients is making the risk-based monitoring of imports more sensitive – again, at a time when resources are particularly stretched. On the positive side, intelligence networks among food safety professionals are better and faster than in the past. The government-sponsored OzFoodNet has taken a cooperative approach to its surveillance and investigations, liaising with state and territory authorities, the Communicable Diseases Network of Australia and FSANZ to pinpoint linkages between outbreaks and preceding consumption. 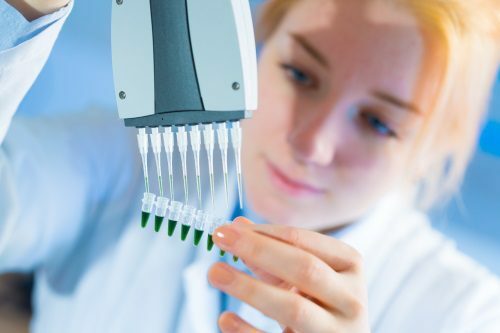 Additionally, the mechanisms for assessing risk are more finely tuned, and, with companies like 3M and others, the options for testing specific pathogens are faster and more accurate, including emerging technologies allowing genome-level analysis.